The refurbished church now contains five stained glass panels, the work of renowned local artist, Des Carrick. Their titles are “Resurrection” (above),” Mother and Child”, Crucifixion”, “Crown of Thorns” and “Jesus is taken down from the Cross” all of which were made about 1965. Their strong deep colours and compassionate vibrancy draw the eye to each theme with immediate impact. Des, who lived on KIllakee Road from the late 1950s until his death on 30th September 2012 was a prolific creative artist in different mediums. However, it was as a painter of landscapes in water colours and oils that his reputation grew. He attended the National College of Art in the 1940s and 50s and was tutored by two of Ireland’s greatest artists, Sean Keating RHA (1889 – 1977) – himself a local resident and parishioner of Rathfarnham and Ballyboden - and Maurice MacGonigal RHA (1900 – 1979). His early works included a series of water colour scenes around Dun Laoghaire and Howth, as well as a number of works along the banks of the Grand Canal. 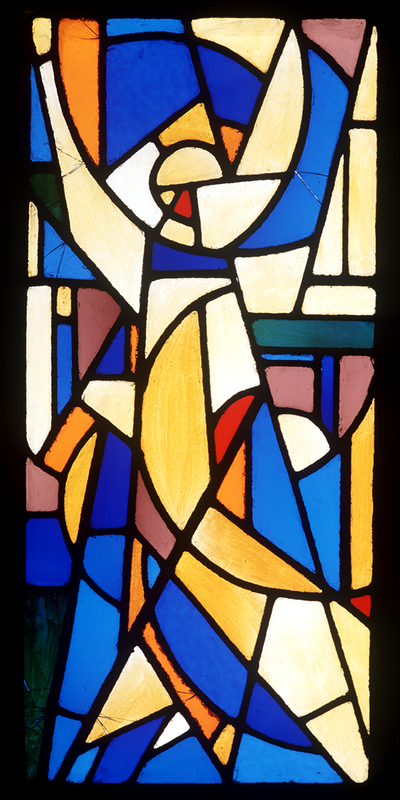 In the 1960s, as his creativity expanded, he produced a series of plaster maquettes for bronze sculpture as well as the series of stained glass pieces. However, it was in the painting of landscapes in oils that Des really developed his unique talent. 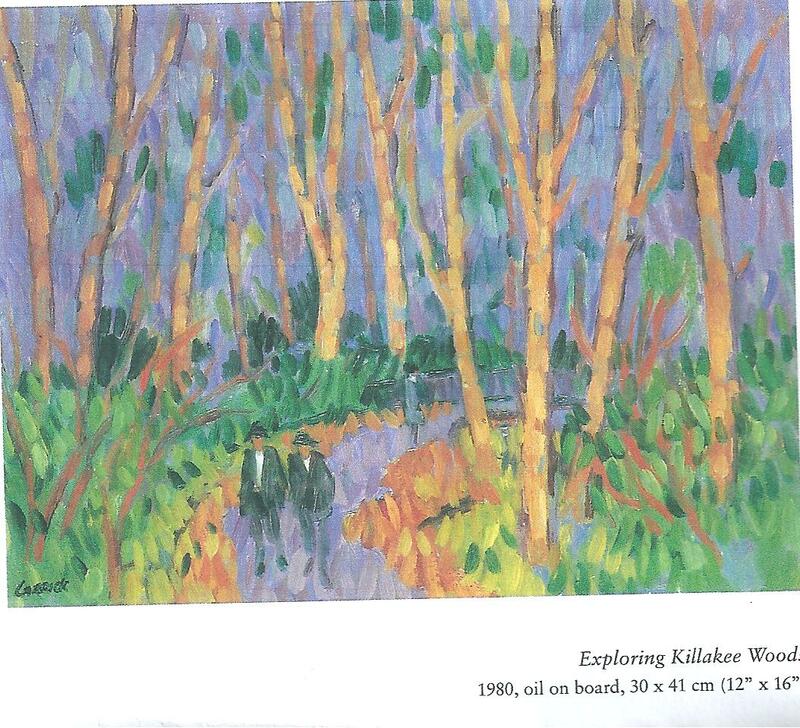 He began painting with oil on board locally around Killakee, and alongside the fledgling LIffey waters at Ballysmutten. Later, he painted around Connemara, especially on Inisheer. 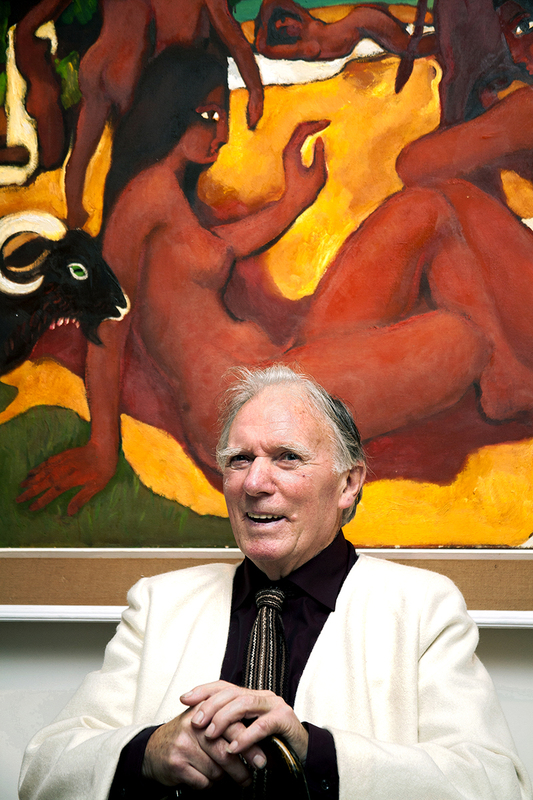 The influence of Keating can be seen in many of Des’s landscape paintings, especially those painted in the West of Ireland. Later, Des, following in the footsteps of Monet, painted a series of landscapes in Vernon, France. Following a fascination with reproducing the effects of light on sea and sky in a hot climate, Des produced a large number of paintings in the Nerja region of Southern Spain. 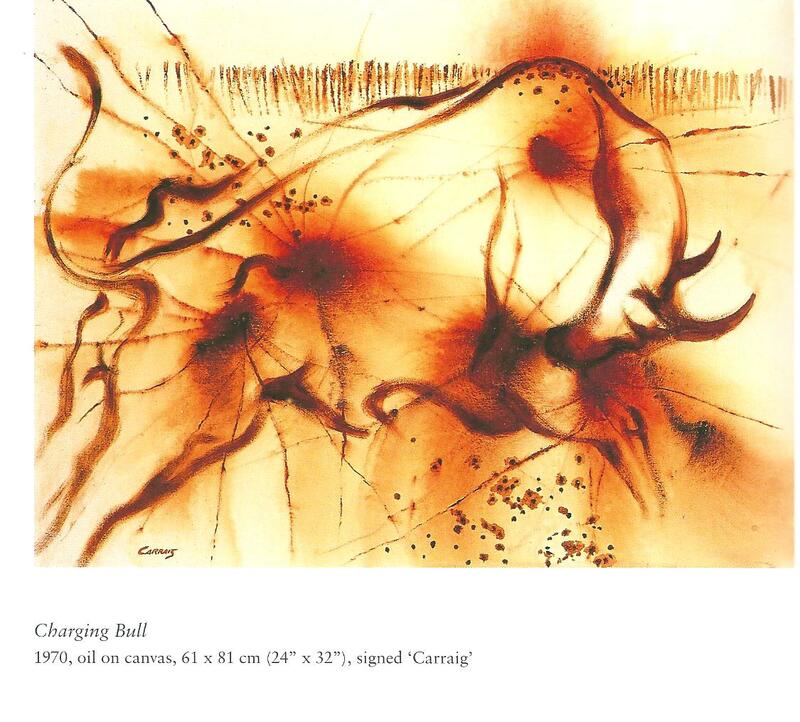 His Spanish experiences led him to paint a series of paintings of bulls, all of which demonstrate the angry energy emanating from his subjects. Des was also a brilliant raconteur who could ably debate with others on many subjects, but especially with matters relating to the arts. He was a kindly and patient teacher of many students in the National College of Art. He had the special skill of a good teacher, whereby he enabled others to believe in themselves and their own talents. In both his own creations and the works of others he was a man who could see the extraordinary in the ordinary. Throughout most of his life, whether in Killakee, Vernon or Nerja Des was ably supported by his loving wife, Deirdre (nee Mellett), who was his manager and an accomplished hostess at his house and studio. They were both familiar parishioners at the church and at the Augustinian house in Ballyboden. Unfortunately, Deirdre died suddenly in May 2010, and Des died a little over two years later, in September 2012. A book outlining the life and works of Des Carrick entitled “Desmond Carrick RHA – The Lie of the Land”, containing over 300 photographs of his works, was edited by Tony Corcoran and published by Gandon Editions in November 2009. There was also a local launch, in May 2010, shortly before Deirdre died, courtesy of South Dublin County Libraries and local librarian Breda Bollard, in Whitechurch Library. This was attended by many of the residents of Whitechurch, Ballyboden and Rathfarnham.